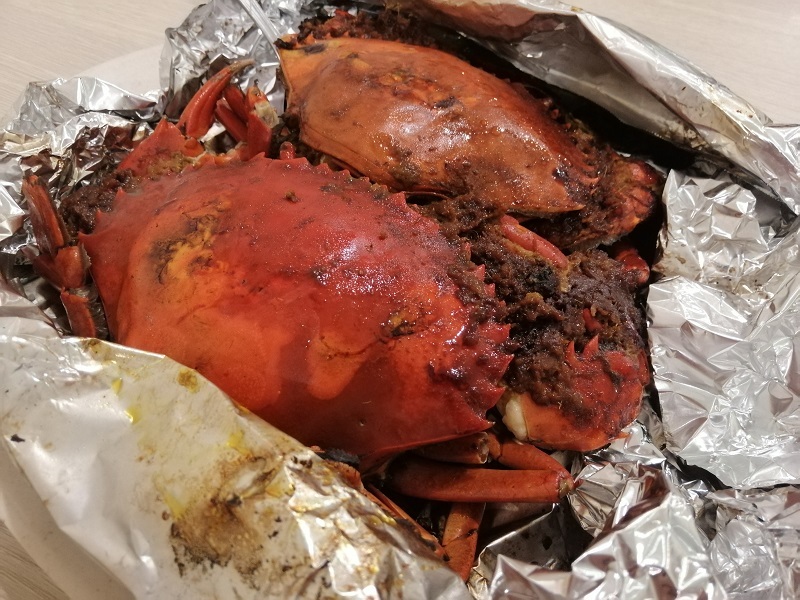 Pontianak is famous for crab. There’s crab noodles (Bakmi Kepiting Ou Kie) and lots of seafood restaurants offering a local specialty – smoked crab. 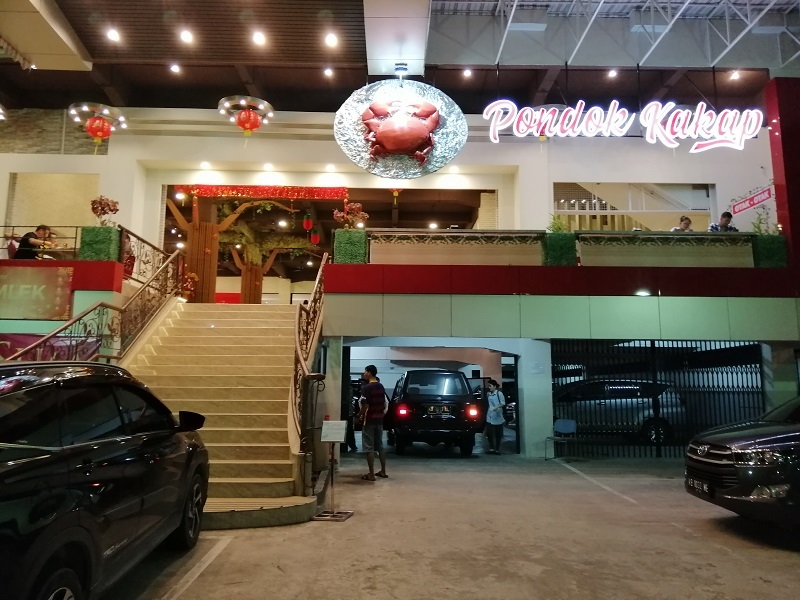 I was keen to check this out so I headed over to Restoran Pondok Kakap for some of their famous smoked crab. 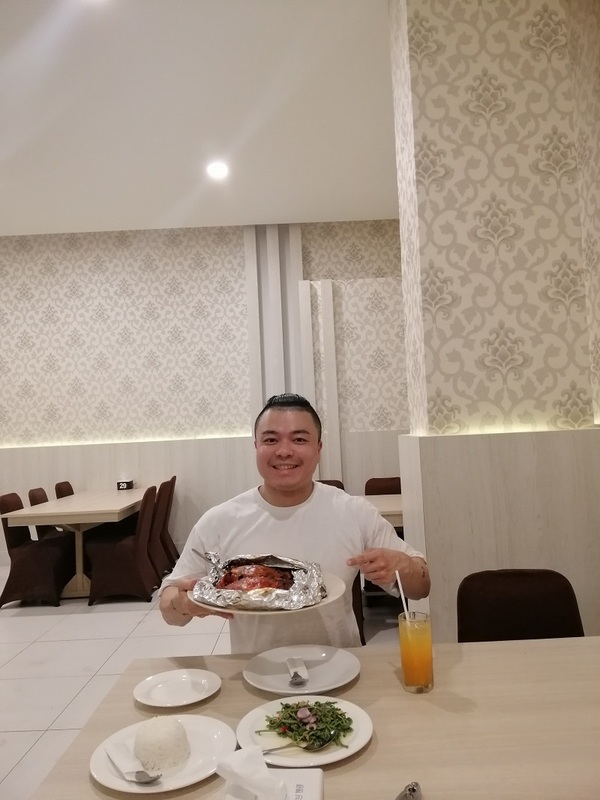 This restaurant is rated #1 on TripAdvisor and seems to get good reviews (except for one guy who claims he was overcharged for semah fish). 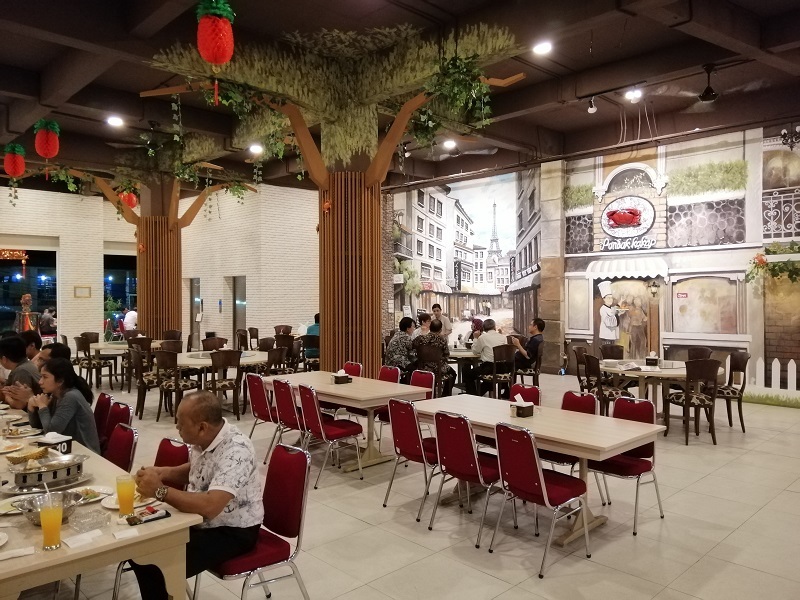 I was surprised to see how large Restoran Pondok Kakap was. It looked rather grand too and I told myself I’ll better pay attention to the menu prices before I order. Haha. It isn’t too expensive by Malaysian standards though – crab goes for 200,000 IDR (about RM 58) per portion. I mostly eat street food and local favorites here so it’s alright to splurge a little. 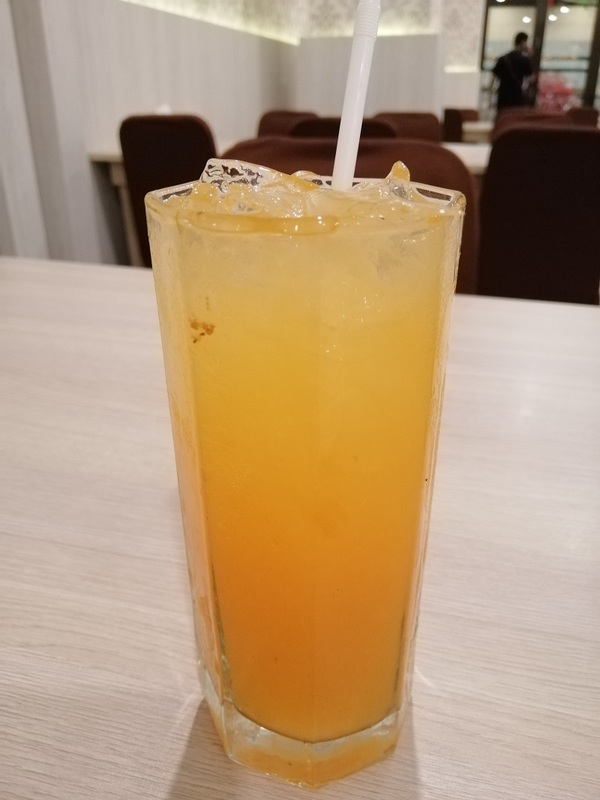 Es Jeruk (15,000 IDR). This is a pickle juice of sorts. Not bad but exceedingly sweet. Actually everything here is either very sweet or very salty. The flavor profile of food in Pontianak is dialed up to a 10. The dishes are very intense tasting. Indeed, you’ll here of them complaining our Malaysian food is bland (tawar). Kepiting Asap (220,000 IDR). This is their famous smoked crab. The smoky flavors are super in-your-face and intense. I can smell burning wood in the crab. I meant that as a compliment. The sauce is similar to rendang – full of spices and flavor. There’s not much sauce but the little here goes a long way with rice! I love how the crab is filled with roe that I could dig out and eat with my rice. The meat was succulent and sweet too. 10/10. For my vegetable dish, I went with Yam Pakis (30,000 IDR). 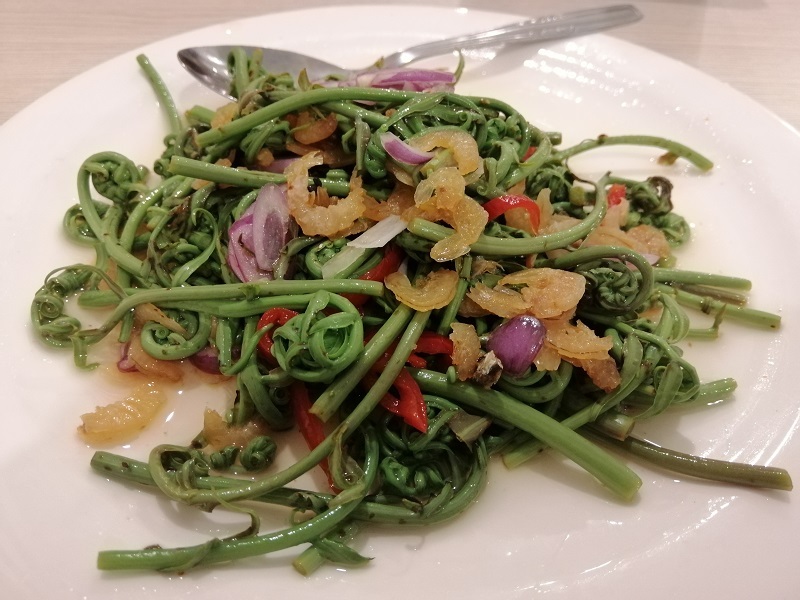 This is a type of fern similar to midin in Sarawak. It’s recommended by Pondok Kakap and cooked with an acidic and sweet mixture that made my mouth water. I love the dried shrimp they sprinkle on top too. The sweet and sour flavors really whet my appetite. Excellent! The total inclusive of white rice (7,500 IDR) and a 27,250 IDR tax came up to 299,750 IDR. That works out to RM 87. It’s not cheap but worth the price. I highly recommend the amazing smoked crab. It’s easily the best meal I had in Pontianak and I will definitely come back if I return. The smoky flavor profile and interesting rendang sauce of the crab is spectacular – not a flavor combination we can find in Malaysia.